A wide range of applications can be covered with this combination of servomotor and robust helical-bevel gear unit. Take advantage of the dynamics of the CMP.. motors and the power density of the helical-bevel gear unit. Efficient helical-bevel servo gearmotors for many areas of application. Our K..CMP.. helical-bevel servo gearmotor merges the servo technology of the CMP.. synchronous servomotor series with the tried and tested helical-bevel gear units. The powerful and highly dynamic servomotors from the CMP.. modular motor system ensure precise power delivery. 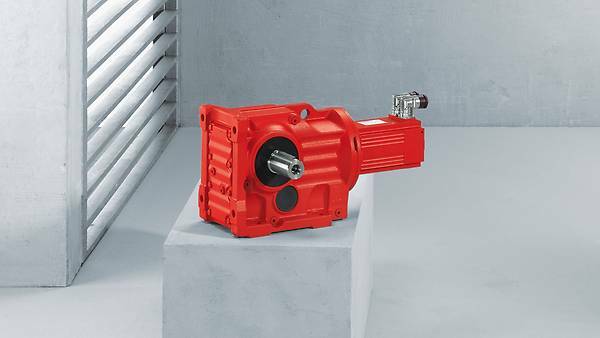 The tried and tested helical-bevel gear unit of the K series provides robust performance and durability. They also have a particularly high degree of efficiency. This is applied in both directions of torque and for each input speed. As a result, you can implement many applications with precision using the K..CMP.. helical-bevel servo gearmotors. Torques of 80 Nm to 8000 Nm can be implemented and systems can be operated with outstanding flexibility. 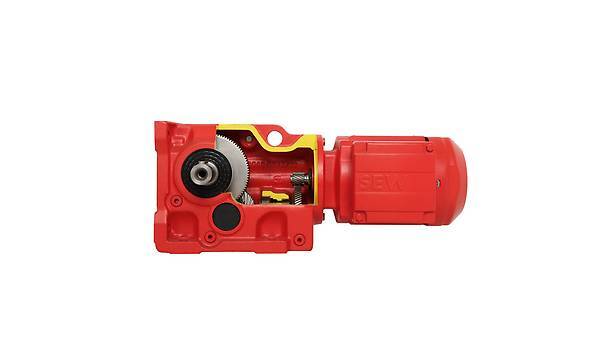 as the gearing of the servo gearmotor has a durable and wear-free design. as the gearmotor perfectly combines servo characteristics and standard solution.